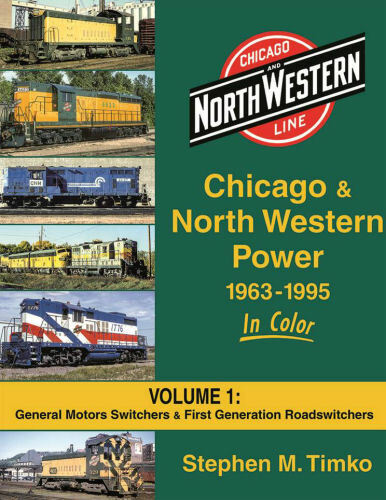 Chicago & North Western 1963-1995 Power in Color Volume 1 introduces us to the General Motors switchers and first-generation roadswitchers of the road. From the SW1 to the SW1500, MP15DC’s, including the rare SW600’s. The SD7’s, SD9’s and SD18’s will be on parade, as well as hundreds of GP7’s and GP9’s. Join us in this first installment of a multi-volume documentation of the C&NW locomotive fleet. Hard cover.